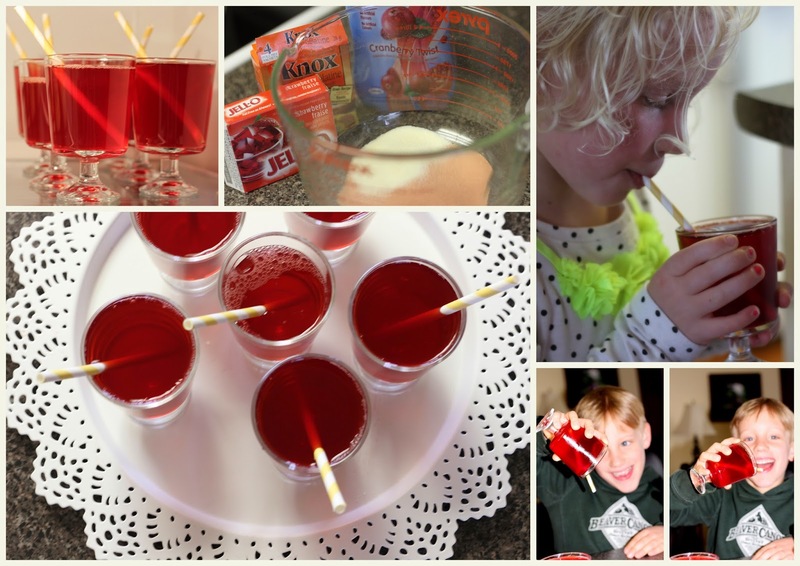 Mennonite Girls Can Cook: April Fools "Juice"
but you can have it ready by lunchtime. I put this little trick together in minutes and in a few hours it was set and ready to make the grands laugh and maybe even they were a little bit fooled. The best part is that you will make some smiles and they will enjoy the cranberry/strawberry gelatin for dessert. Empty both the flavoured and unflavoured gelatin in a medium heat safe bowl. Pour boiling water over the powders and stir until dissolved. Add the juice and divide evenly between 4 -5 glasses. This a great idea!!! Happy April 1st! Love!! Will "pull" it on my grands when they are old enough! TFS! I just want to thank you for last weeks MGCC at Lepp Farms. I was able to attend with 3 daughters, we all had a wonderful time. Yesterday afternoon one of those daughters surprised me with a great batch of Paska baked completely on her own, it turned out beautifully light and tasty with your yummy icing recipe!! She'll be doing this again!! The demos you gave were great and the meal we enjoyed was fabulous. Thanks Lenora, for taking the time to give us your feedback. How neat that your daughter baked Paska all on her own...and that it turned out so beautifully! The Paska tradition lives on. It was nice chatting with you at the class as well. Soooo cute! I love the pictures too! I did this on my son's birthday supper as he is an April Fool. Each of our guests were served "sushi" appies (brownie rounds iced and covered in coconut to look like rice, and a little candy in the center), jello "drinks", a "cake" that was a pizza roll with mozzarella "icing" and "grilled cheese sandwiches" for dessert that was cake baked in a loaf pan with orange icing. Very convincing and so fun for my son to be part of the preparations.